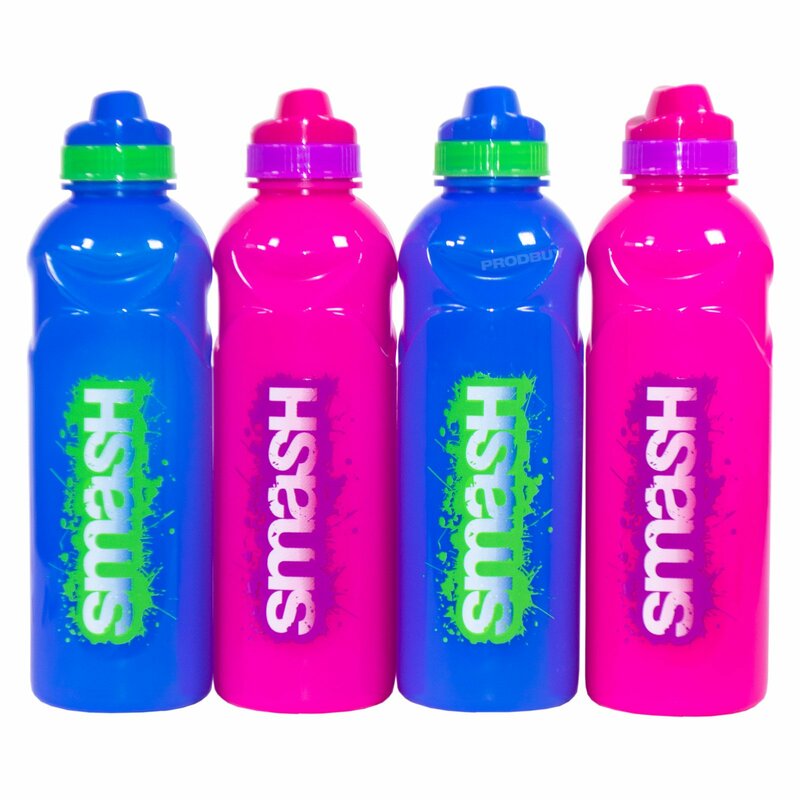 Set of four Smash “stealth” drinks bottles featuring 500ml capacity and colourful BPA free plastic material that is sturdy but also soft and lightweight. Each bottle has a screw lid with top cap that opens and closes securely. The ergonomic shape makes them easy and comfortable to grip and hold and the bottles can be squeezed to make it easier to drink. © 2019 - Outdoorreviews.co.uk is a participant in the Amazon Services LLC Associates Program, an affiliate advertising program designed to provide a means for sites to earn advertising fees by advertising and linking to Amazon.co.uk.